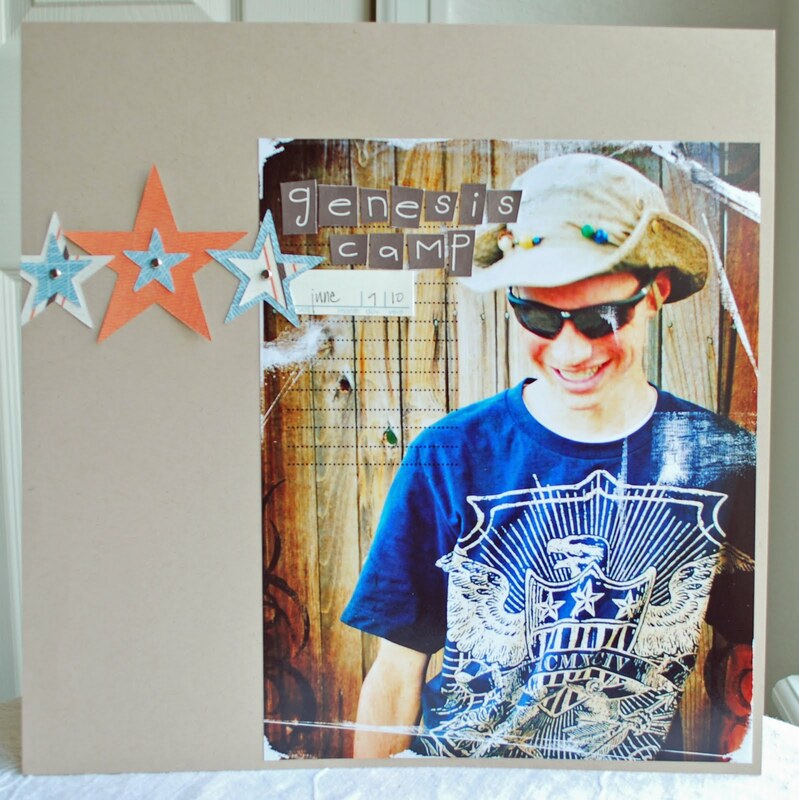 this is my card submissions for last weeks finally friday by kristina werner over at 2p's. 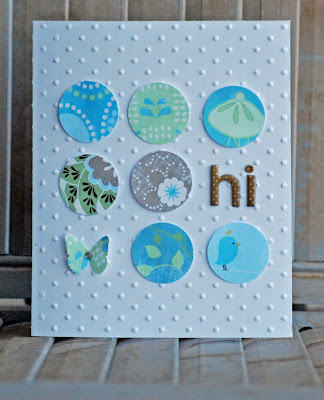 the challenge was to use punched circles to make a card. i used papers from DesignHouseDigital by carina gardner. isn't that bird just adorable? and this i just uploaded over at the gallery at DesignHouseDigital. it's a hybrid of my teen guy after a camping adventure this past month. he was lit when he came home after doing some serious roughing it for a few days. i distressed up the photo quite a bit and got great words of approval from him when i was done. score! i started with an overlay by lynn grieveson. just love those photo textures. then i added a tattered overlay in this kit by carina gardner. and to finish it off were a couple of grungy swirled edges by maryann wise. those were blended with the color burn tool in pse. for the stars i printed some papers from audrey neals mod flowers mini kit and solid papers kit. a very 'girly' kit that i made work for my no so girly guy!